Our generous donors give for many different reasons. Read below for a featured story about how the YWCA has touched these donors’ lives and why they give. “I enjoy coming here and I meet so many nice people, some of us have so much in common,” wrote member Shirley Golden in a note about why she gives to the YWCA. Shirley has been coming to the YWCA nearly three years, and you will often find her in the circuit room, or participating in gentle yoga. “Where else can you go and have so many great things to do,” she writes. Shirley, like many others, is a member through her insurance, Silver & Fit. Health insurance coverage is a great way for people to take advantage of all the YWCA offers while improving well-being at low or no cost to the user. However, insurance reimbursement does not make up the full cost of a membership, leaving the YWCA to make up the difference. As a nonprofit organization, we rely on the income from membership fees to support all of our programs and maintain our facilities. Knowing this, Shirley pledged to make a monthly gift to help offset the difference between the cost of a rec pass, and the insurance reimbursement rate. “If I can help in any way, I will do so,” she noted. Shirley made the point that others are always doing their part to help her. For example, people would show her how to correctly use a piece of equipment, a bit of guidance that she appreciated. 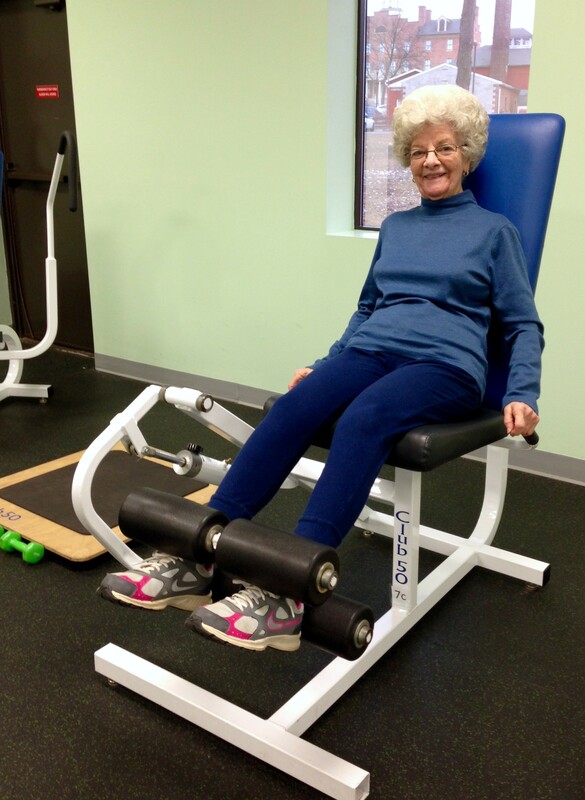 Plus, she says that working out at the YWCA makes exercising not so boring. From the smiling children that greet her in the halls, to the friends she has made in the circuit room, she knows her donation helps provide much needed services for these members. The YWCA continually strives to meet the needs of our community through affordable memberships, multiple childcare facilities, and free mission-minded programs. To those of you, like Shirley, who already donate… thank you! We wouldn’t be the community center we are today without the generous support of our members, local businesses, and sponsors.